Is it autism or is it abuse? Sometimes it can be very hard to tell. Ewan Stevenson reports on cases of misdiagnosis and explores the challenge of identifying signs of abuse in children and young people with autism. Tim Gilling, a keynote speaker at a recent conference run by the National Autistic Society (NAS) on safeguarding children with autism, was recounting his family’s long struggle to get a diagnosis of autism for their son so that appropriate support could be put in place. It took more than two years, during which time Nick became increasingly reluctant to leave the house because he didn’t ‘know the rules outside very well and something bad might happen’, or go anywhere without his parents because he would have no one ‘to explain things and keep me safe’. The initial CAMHS diagnosis put this down to separation anxiety and concluded that the problem lay, not with Nick, but with his parents, who were putting autistic thoughts into his head. Eventually, against all the odds, the family secured a second opinion from another CAMHS team, which confirmed the diagnosis of high-functioning Asperger syndrome they had already obtained from an independent consultant psychologist. Today, four years later, Nick has been able to move on. The family’s plight was exacerbated by the fact that the different parties involved kept them in the dark for much of the time, a situation that should hopefully improve with the implementation of the Children and Families Act. Lack of support from Nick’s schools was another key issue. He was supported by a Senco for a while in Year 5 until the headteacher put a stop to it because ‘Nick was gobbling up the Senco’s time.’ When he later changed schools, although his autistic traits were becoming more pronounced, he received no support at all, forcing the family to submit to the SEND tribunal appeal process and all the stress that this entailed. The Gilling family’s experience is by no means unique and other families have also found themselves falsely accused of maltreatment or abuse. That said, distinguishing between autism and abuse can be extremely difficult, as another keynote speaker, Dr Margaret DeJong, head of child and adolescent mental health at Great Ormond Street Hospital, explained. She pointed to a string of other traits they might have in common, including high levels of anxiety, difficulties establishing and sustaining relationships, poor concentration in class, abrupt mood changes and low self-esteem. The underlying causes, however, will be very different. If spotting potential signs of abuse is especially difficult in a child who has autism, it is doubly important because they are far more at risk than their typically developing peers. Dr Mitzi Waltz, senior lecturer in autism studies at Sheffield Hallam University, outlined some of the reasons. All disabled people are more vulnerable to abuse, she said, explaining that this is due, amongst other things, to social attitudes towards disability, lack of inclusion in protective social networks and dependency on others (who may misuse their position) for vital needs. knowing when authority is being abused due to learned compliance. The conference was one of the latest developments in a project led by the NAS in collaboration with Ambitious about Autism and the Autism Education Trust and funded by the Department for Education. 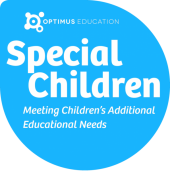 Designed to raise awareness amongst professionals who work with children on the spectrum in any capacity, it has already produced a clear and accessible guide, which includes advice on spotting problems in schools, services, community settings, online and at home and outlines the steps that people must take if they have concerns. The guidelines discuss physical, sexual and emotional abuse, bullying, hate and ‘mate’ crime, and child neglect, with examples and case studies to illustrate the points being made. The booklet reinforces the message that potential indicators of abuse, such as lack of eye contact or withdrawal from social situations, may be the consequence of a child’s autism. And that, conversely, indicators of abuse may be falsely attributed to autism. It is therefore essential that professionals avoid making assumptions, while making sure that both possibilities are carefully and thoroughly explored. Part of that process involves listening to the child, picking up on changes of behaviour, and finding ways of enabling them to express their feelings or fears, no matter how difficult that might be. Just because a child turns up at school looking dishevelled or unkempt doesn’t necessarily mean that no one cares about them. They may have sensory issues that make it hard for parents or carers to get them ready for school, or they may insist on wearing the same clothes day in day out. Daily challenges such as these place families under enormous strain, and they may be in desperate need of support rather than a heavy-handed intervention. Likewise, it is very difficult for parents, carers and other adults to strike a balance between promoting the child’s development so that they can engage with the neurotypical world and allowing them to be themselves. They may intervene in an attempt to make the child more flexible and less dependent on routine so they can participate more fully in the wider world. If their actions cause short-term distress as part of an agreed strategy, they may be entirely appropriate. If they are excessive or ill conceived, leading to high levels of long-term distress, that is cause for concern. When children behave in an extremely challenging way, adults may resort to inappropriate or excessive methods of restraint. However, physical injuries could equally well be the result of someone taking prompt action to remove the child from immediate danger. Alternatively, bruises or cuts could be self-inflicted, or the result of an accident. Or they might be the consequence of an incident with a sibling who was defending themselves against an unexpected, aggressive outburst. All signs of potential abuse need to be thoroughly investigated but, as is always the case, professionals need to avoid jumping to conclusions and keep an open mind. The sexual development of children with ASD is often out of step with their emotional and social maturity. This can lead to demonstrations of sexualised behaviour that could easily be mistaken for signs sign of abuse. Similarly, they may be overly affectionate towards strangers, or they may go to the other extreme and appear hyper-vigilant and fearful. Uncovering the truth is therefore exceptionally difficult and their communication problems make it even harder. The National Society for the Prevention of Cruelty to Children (NSPCC) has produced some excellent materials designed for adults working with any child, but presented in a visually appealing way that makes them highly accessible. These include Share Aware, a cartoon that really brings home the importance of not taking, let alone sharing, pictures of your private parts, and The Underwear Rule, which comes with a guide for parents to help them engage their child in conversations that will help to keep them safe. For children who are non-verbal, NSPCC has funded How It Is, an image bank developed by Triangle with the participation of over 100 children of all ages. Bullying takes many forms and the idiosyncratic behaviour of children with autism together with their communication difficulties puts them at particular risk. Moreover, their inability to read facial expressions and body language makes them easy targets for ‘mate’ crime, since they can’t distinguish between a genuine offer of kindness or friendship and an approach that has malicious intentions. Children with disabilities are also more likely to experience hate crime, or become the victims of ‘double discrimination’ if they belong to an ethnic minority group. Back at the conference, Will Garner, CEO of Childnet, introduced delegates to a new online resource that offers practical advice and teaching activities to help secondary schools explore Internet safety with young people on the spectrum. Produced by Childnet and Leicester City Council, STAR Toolkit comprises four sections – SAFE, TRUST, ACTION and RESPECT – which all feature the concept of friendship, with an emphasis on maintaining a healthy balance between online and offline activity, and help teachers address important issues such as cyberbullying, contact by strangers and exposure to inappropriate content. Keeping children safe online is far from simple, however, as a moving account by Annie Clements, CEO of the social enterprise Autism and ADHD, illustrated. She recounted the story of a 16-year-old girl with ASD who was obsessed by balloons and started interacting online with a group of people who appeared to share her interest. What she didn’t realise was that they were using balloons in a sexual context and before long one of them began grooming her. Alerted by the arrival of balloons in the post, her mother contacted the police. All the right procedures were followed, but for the girl, the consequences were devastating. She could not see that she or the man had done anything wrong. He was her first real friend, she said, the first person who really listened to her and made her feel good. After this episode, she spent two years in hospital being treated for depression. Today, at the age of 23, she has rejoined the group. As an adult, she now has the right to follow her own path.